Thank you for visiting Emaniuz Collection! 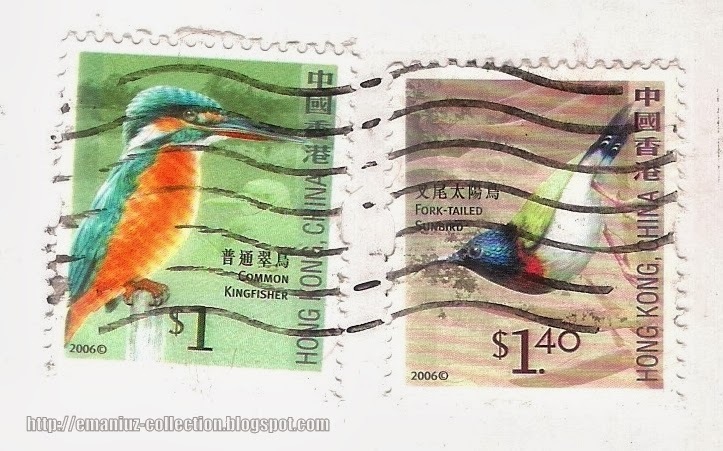 For Postcrossers' Portal, please click here! My realm of connection to the world. POSTCARD: The Wisdom Part was completed in 2005 which is the biggest outdoor Buddhist scripture wood carving arrangement in the world. It features an arrangement of 38 giant wood columns measuring 8-10 meters long and 1 meter wide to showcase calligraphy by master of Chinese studies Professor Jao Tsung-I. The inscription is the text of Heart Sutra. Sympathetic with the terrain, these wood columns are arranged in an infinity pattern. 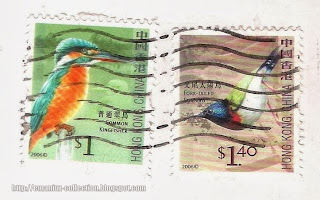 STAMPS: Definitive stamps featuring Common Kingfisher and Fork-tailed Sunbird at 1HK$ and 1.40HK$ respectively. Thanks to Lok of Hong Kong! I didn't know Hong Kong was so green and full of foliage. 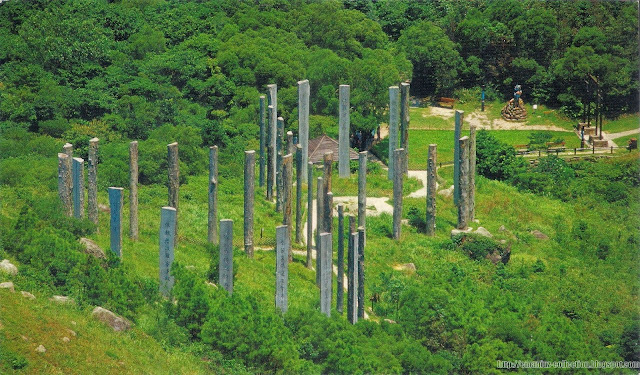 The columns look like they are ancient markers, but they are really not old at all. Thanks for sharing.